I found this on Tumblr recently and thought it was kind of fabulous. You’ve gotta love the irreverence millennials have for ancient art and museums. It’s ridiculous. There is, however, a lot of serious and merited debate currently happening in the museum world over this very topic. Should we embrace this type of behavior or condemn it. 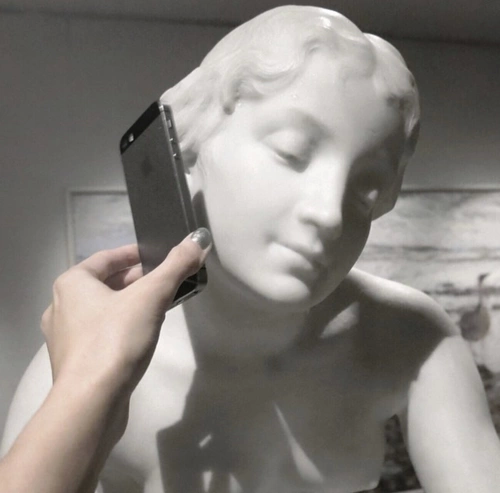 A lot of museums are starting to do away with or readjust their iphone policies.